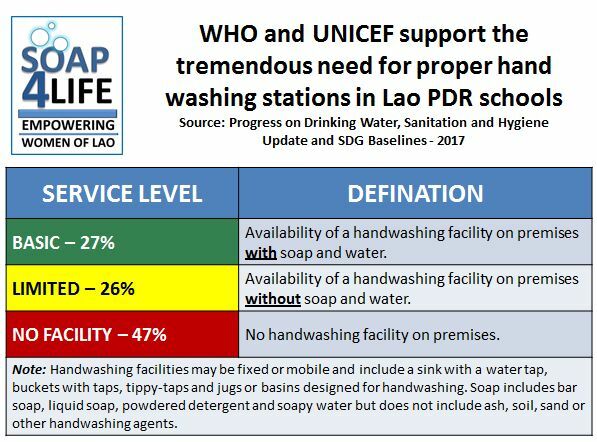 ​"To put healthy natural soap in the hands of children"
The best way to make this possible is to place proper hand washing stations in the Primary and Secondary Schools in Lao. The current population of schools is truly lacking in the hygiene facilities and training available to the students. Soap4Life has a waiting list of schools who have contacted us and have requested that we construct and install hand washing stations that are appropriate for the school and place them in the areas where they will best serve the students... before eating, after playing and especially following use of the toilet. Our approach is to survey the school's needs and physical layout and then construct and install the best options for each school. Our funding to provide these facilities comes from our generous "grass-roots" supporters. If you or your organization would like to donate a station (or more), please click on the links below to make that happen. 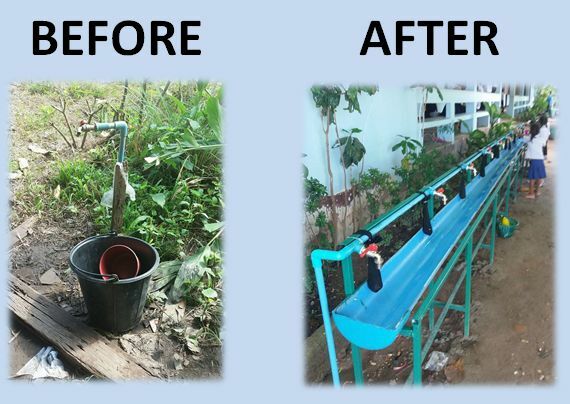 Our ability to produce and install these Life Saving Hand Washing Stations depends on donations from our loyal and generous supporters. If you would like to "Help Us Help Others", Please make your donation by clicking on the selections available.